You will need a sturdy table to place the spinart machine on when you use it. If you do not have a sturdy table, please be sure to add on to your order on the next page. If you are looking for a game to add onto your moonwalk rental, then this spin art machine is just for you. This carnival game is the perfect addition to any bouncy house rental or water slide rental. So if you are having an inflatable party, check this and our many games out. Our Spin Art Machine is the perfect rental for a creative and fun party without the mess! 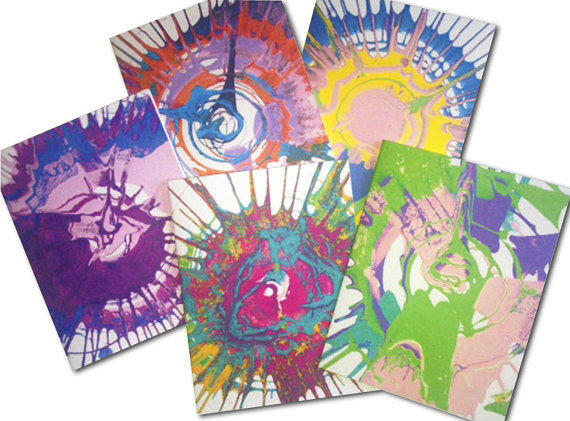 Spin Art is a fun activity that kids of all ages love, all you have to do is place a card on the machine, then turn it on, drop the paint and watch the colors swirl while they create amazing designs. 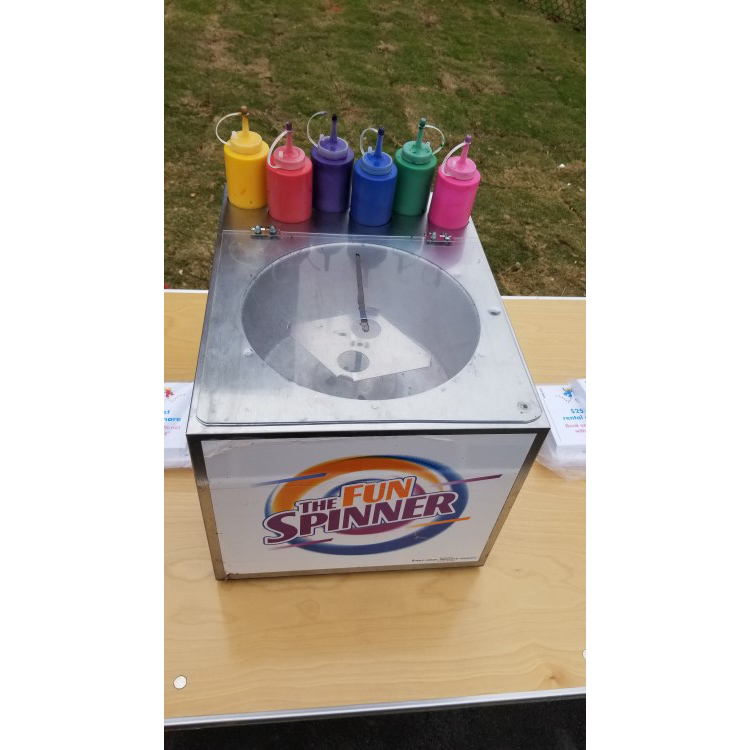 Our Spin Art machine is one of the safest in the industry, it will only work if the lid is closed for added security and to keep little fingers safe. At the end of the party, every kid will have an art creation to take home that he can proudly show off in our specially matted frames. 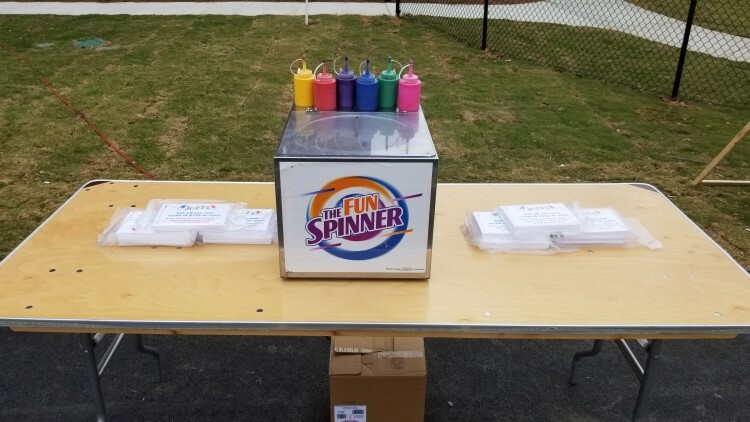 Spin art machines are a big hit on birthday parties, Fall Festivals and company picnics, but they are also great for special art projects on childcare centers and schools and are great crowd pleaser and money maker on fund raising events. 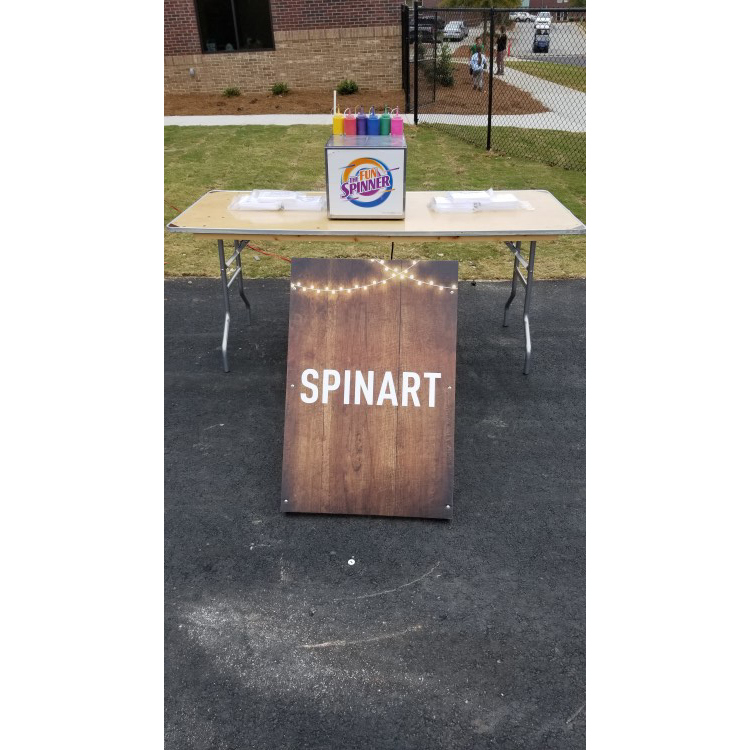 Jump 2 It Party Rentals is located outside of Atlanta, in Newnan, Ga and services Atlanta, Peachtree City, Newnan, Fayetteville, Carrolton, Tyrone, Brooks, Senoia, Riverdale, Jonesboro, Douglasville, Palmetto, Sharpsburg, Union City, Griffin and the rest of the Atlanta metro area for Spinart Machine Rentals.